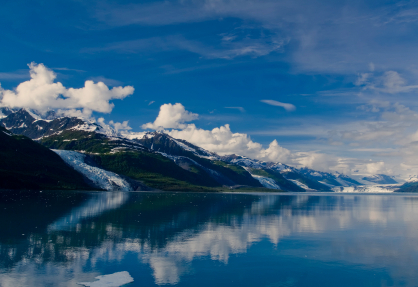 Alaska, the largest and second youngest state, is home to some of the most majestic country anywhere. Tales of the wild frontier still take place here everyday. Still, within this vast wilderness is an extensive public university system that offers undergraduate and graduate degree programs on nine campuses. In addition, institutions such as the Alaska Bible College, Alaska Pacific University, Embry Riddle Aeronautical University and Wayland Bible College offer four year degrees. Two year programs can also be found at Alaska schools. However, these colleges, universities and even trades schools can be extremely expensive. Financing a post secondary education can be difficult for many students. Today’s student must use any and all available resources to fund their educational endeavors. The first step is to fill out a Free Application for Student Aid (FAFSA). Many of the grants available are based on the results of the FAFSA, so be sure to fill one out every year. Grants and scholarships are great, because neither has to be repaid. Student loans, however, need to be paid back beginning approximately six months after leaving school whether or not you have successfully completed the program. College grants are available to individuals to make college more affordable and more accessible to everyone. There are two main types of grants available - federal and local. The federal grants are primarily awarded based on need determined by the FAFSA results. The most recognizable of this type is the Pell Grant. Several federal grants are available. The Pell Grant can range anywhere from $1,176 to $5,550. The Pell Grant does not affect eligibility for other awards. An individual cannot, however, receive a Pell Grant from more than one school at the same time. It is given out based on financial need, expected family contribution, cost of attendance, and current enrollment status. Students with substantiating financial need may be eligible to receive a Pell grant for up to 18 semesters. The Federal Supplemental Educational Opportunity Grant (FSEOG) is awarded to students who are eligible for the Pell Grant and who have the lowest expected family contribution. The institutions do have some flexibility in deciding who receives FSEOG, but it is meant for the neediest students. There are approximately 4000 schools throughout the nation that are part of the FSEOG program. The Federal Academic Competitiveness Grant (ACG) provides funding for first or second year undergraduate students who meet the proper academic criteria. In addition, applicants must be – a U. S, citizen or eligible non-citizen, eligible for a Pell Grant, and enrolled in a degree-granting college with at least half-time status and be working on a degree or certificate. The ACG provides up to $750 for the first year of school and up to $1,300 for the second. It is mandatory that the student maintain a 3.0 or higher grade point average in order to continue receiving the grant. The National Science and Mathematics Access to Retain Talent Grant (SMART Grant) is awarded to eligible students in their third and fourth years of undergraduate school and who are enrolled in at least half time status. The SMART Grant is available to studies in one of the following major programs: computer science, engineering, critical foreign languages, mathematics and technology. In addition, students must be a U.S. citizen, be eligible for a Pell Grant, be enrolled in Bachelor’s Degree Program and have a cumulative grade point average of 3.0. The Arc of Washington Trust Fund is a 60 + year old trust which provides funding to researchers in the field of intellectual and other developmental disabilities. The Trust Fund also conducts a student stipend program, which continues each year. The stipends, of up to $5,000 each, are awarded to upper division or graduate students in institutions of higher education in the states of Washington, Oregon, Alaska or Idaho, who have a demonstrated interest in the field of intellectual or other developmental disabilities. Funds will be released to the institutions for distribution to the students for payment of student tuition, books and general living expenses. Each applicant should have a particular career interest in work relating to intellectual or other developmental disabilities. In addition to completing the application form, each applicant must submit a statement of his or her interest in the field of intellectual or other developmental disabilities, academic and other qualifications, achievements, and both immediate and long-term goals. Letters of endorsement from no fewer than two faculty sponsors and official transcripts from the colleges or universities the applicant has attended must accompany each student’s statement. The remainder of these grants are specific to the state of Alaska. The Alaska Commission on Post Secondary Education offers a large number of grants and scholarships to the students of Alaska. Here are some of the grants that are available to Alaskan residents and should be considered when apply to colleges, universities and trade schools. The AlaskaAdvantage Grant is one of the largest awarded grants. This is a need-based grant that is funded by the state of Alaska. The student must be enrolled at least half time in a qualifying undergraduate college or university and must be a legal resident of Alaska. Recipients must meet satisfactory academic progress requirements. Applying for the grant is done automatically by filling out FAFSA. Need and eligibility with be determined by the standards of the U.S Department of Education. Grant awards typically range from $500 to $2,000 per academic year for students who have qualifying unmet financial need. The Commission annually sets aside a portion of the available grant money as priority awards. Eligible applicants demonstrating exceptional academic preparation for higher education (by top quartile SAT or ACT scores), and those enrolled in workforce shortage programs can become eligible for a priority award of up to a maximum of $3,000. Current qualifying workforce shortage programs are: allied health science, community and social service, teaching and paraprofessional education, and process industry/natural resources extraction industry. Alaska International Education Foundation offers a limited amount of grants and scholarships to individuals pursuing an education and/or research into the relationships between Alaska and other nations. The AIEF supports students studying in Alaska or foreign nations. AIEF sponsors a student and faculty exchange program. The Alaska Space Grant Program invites applications from U. S. citizens for research fellowship stipends. These stipends are offered to undergraduate students majoring in science, technology, engineering and/or mathematics (STEM) fields. Preference is given to projects directly related to NASA’s interests. Stipends are limited to students attending Alaska institutions of higher education. While all qualified students are encouraged to apply, women and individuals from underrepresented groups, specifically, Alaska Natives, Native Americans, African Americans, Hispanics, Pacific Islanders, and persons with disabilities are strongly encouraged to apply. The amount of the awards are determined by each project if it is approved. The Bureau of Indian Education Higher Education Grant Program (BIA) provides financial assistance to American Indians and Native Alaskans to further their education. Applicants must be enrolled in a college or university and must fill out FAFSA. They must also file a grant application with the tribe with which they are affiliated, and prove at least one-quarter degree Indian blood descendent of a member of an American Indian tribe which is eligible for the special programs and services provided. This aid is meant to be a supplement to a financial aid package that has already be awarded. It is not an entitlement grant and applications must adhere by BIA guidelines. The major goal of The Cook Inlet Region, Inc. (CIRI) Foundation is to encourage the education and career development of The Foundation’s Alaska Native beneficiaries through post-secondary scholarships and grants, research and other education projects. Alaska Native students who are eligible for The CIRI Foundation Scholarship and Grant program are either original enrollees of CIRI or direct lineal descendants of an original enrollee of CIRI. The priority of TCF is to help support direct educational expenses including tuition, student registration fees, course required books/supplies, and on-campus housing/meal plans. Approved scholarship and grant funds are intended to help meet your direct educational expenses above all other uses. OURS Discovery Grants are designed to contribute to ongoing undergraduate research. The Ours grants are for travel expenses associated with an ongoing research program or project. They can also be used to pay for expenses involved with the presentation of research at a conference or seminar. Students must be admitted into an undergraduate degree program at the University of Alaska at Anchorage in order to be eligible. In addition, all project research requirements must be reviewed and accepted. Discovery Grants will not support new projects. New proposals should be submitted as an Undergraduate Research Grant. Students interested in applying may inquire at: 3211 Providence Drive Anchorage AK 99508 or call (907) 786-1086. Alaska Bible College (ABC) offers a higher education grant program to it’s students. ABC will match dollar for dollar, up to $500 a semester, tuition awarded to the student by his/her church. Needd based grants are also available, ranging from $100 to $1,500 per semester. Individuals must be enrolled in or accepted to Alaska Bible College. ABC is a Christian college which provides its students with the necessary education and training to be a minister or work in a mission. The Koniag Education Foundation awards grants and scholarships to Alutiiq students. Two grants are given out each year. One grant is given to a Native Alaskan freshman for career development and will be selected through the application process. The Alaska Cultural Fellowship Grant is to encourage students to further their education in the area of culture and performing arts’ of the first Alaskan inhabitants. Applicants must be CIRI enrolled students, or descendants of CIRI students and accepted to a seminar or conference that is approved by CIRI. There is a cap on the amount offered, but students may continue to apply until it is reached. Those requiring additional information or wanting to apply may contact the Fellowship at: 4241 B Street, Suite 303 B, Anchorage AK 99503 (907)562-9093. Alaska Undergraduate Research Grants are offered each year from the office of undergraduate research to enable students to continue their research projects. Applicants must be enrolled in an associate’s or bachelor’s degree program at the University of Alaska in Anchorage. The grant requires a minimum of three credits per semester and is available to all students in areas of studies. Students may apply or inquire at: 3211 Providence Drive Anchorage AK 99508 (907) 786-1086. Students interested in applying for grants and scholarships should do so as soon as possible. Those individuals who decide to wait until the deadline may not receive any aid simply because there are no funds left. The application process is not difficult, though it is a little time consuming. The advantages usually outweigh the inconveniences. So apply early, look for opportunities everywhere, be persistent and optimistic. The future will look brighter with the help of some college education.